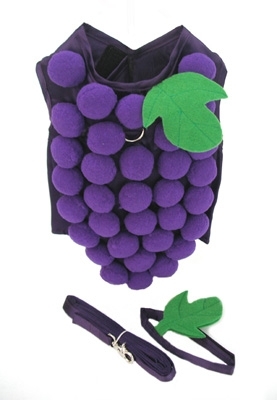 Our Newest Grape Cluster Dog Costume is not only fun, but also very functional. It features Velcro Closures in a Harness Style and D-Ring. Comes with Headpiece Leaf, Leash and a whole lot of Grapes. Fully lined and super high quality.